MainAll NewsInside IsraelCan an e-mail stop an Arab bulldozer? How did the Civil Administration respond when Regavim activists uncovered illegal Arab digging near a major highway? 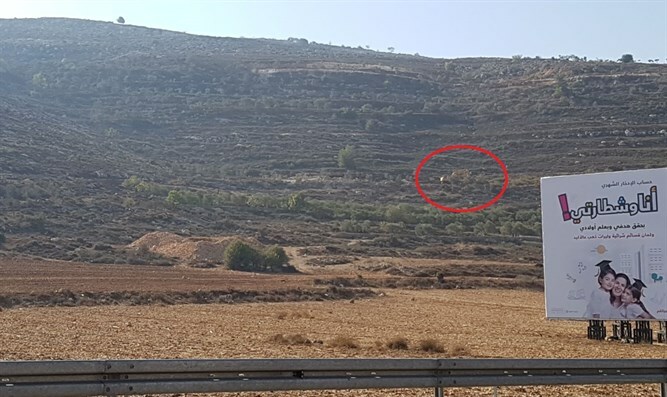 An Arab bulldozer which began to break ground Wednesday on an illegal road next to Route 60, the main highway in Judea and Samaria, continued to work despite a request to halt from the Civil Administration. The field coordinator of the Regavim movement in Judea and Samaria sent the documentation of the illegal work to the Civil Administration, which is authorized to completely halt the work at any time, and even to confiscate the bulldozer. However, the Civil Administration first replied in the evening: "[Send and email to] contact the Civil Administration's public service department." Regavim noted that such requests are usually not responded to immediately, and it was therefore impossible to stop the illegal work. The movement said that "it is a pity that the law enforcement organization is showing contempt for its job." In response to the report, a Civil Administration spokesperson claimed that reports by the public of illegal activity are dealt with an "orderly" fashion. "In accordance with the procedures known to Regavim, a report on illegal activity will be forwarded to the public service department in the Civil Administration for the purpose of handling, monitoring and providing an orderly response to the requests. An examination of the matter found that the field coordinator of the Regavim movement recently assumed his position and did not know the accepted procedures. The Civil Administration is working and will continue to act in order to carry out law enforcement in Area C."